The Bahrain Center for Human Rights expresses concerns over new restrictions to freedom of expression over the internet through the systematic surveillance and censorship of online space. On 18 November 2013, the Minister of State for Telecommunications Affairs, Fawaz Al Khalifa announced the inauguration of the Cyber Safety Directorate at the Ministry of State for Telecommunications Affairs “to assume its role in monitoring websites and social media networks to ensure they are not used to instigate violence or terrorism and disseminate lies and fallacies that pose a threat to the kingdom's security and stability.” He added the establishment of this directorate comes as part of implementing the 15 recommendations of the National assembly issued last July, which has been widely criticized by local and international NGOs as well as the UN High Commissioner for Human Rights and 47 countries, including the United States, for its apparent restrictions on freedom of expression. In addition, a hotline number and an e-mail address were published for the general population to report “any websites or accounts inciting violence and acts of terror, jeopardizing peoples’ life and public interests or targeting national unity and civic peace”. It was also announced that the ministry is working on preparing a new law on cybercrimes that incriminates whoever misuses websites, creates accounts for terrorists groups, or spreads their activities and extremist ideas online and disseminates false allegations. The government of Bahrain has a history of restricting internet freedoms, and while the government alleges that they are taking these measures to safeguard national security, in practice the BCHR has observed that the authorities use these powers to arbitrarily interpret and criminalize online speech as well as block websites tied to the political opposition and human rights websites. Between May and June 2013, six twitter users, including a 17 year-old student, have been sentenced to 1 year in prison each for allegedly “insulting the King over twitter”. In total, over 118 months of imprisonment have been delivered to 13 internet users since June 2012 for their online posts. 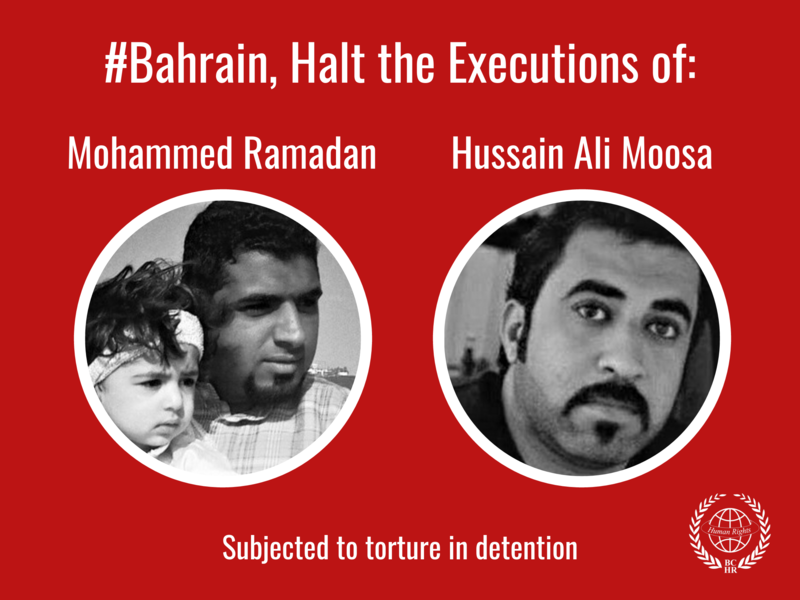 A photographer (Hussain Hubail) and a blogger (Jassim AlNoaimi) both detained since 31 July 2013, are expected to stand trial on 28 Nov 2013 on charges of “misusing social media”. At the same time, it should be noted that internet users associated with the authorities have been actively sending online threats toward human rights activists and other online users without any action from the authorities, including the famous twitter account @7areghum. The individual running this account is a cyber-vigilante who was reported by the Bahraini Commission of Inquiry in its 2011 report for “defamation and incitement”. However, the account is still active and continues its illegal activity. Last October, Freedom House ranked Bahrain as “Not Free” in its report on “Freedom on the net”. Immediately release all persons who are detained for practicing their right to freedom of speech and expression online in accordance with the Universal Declaration of Human Rights and drop all charges against them. 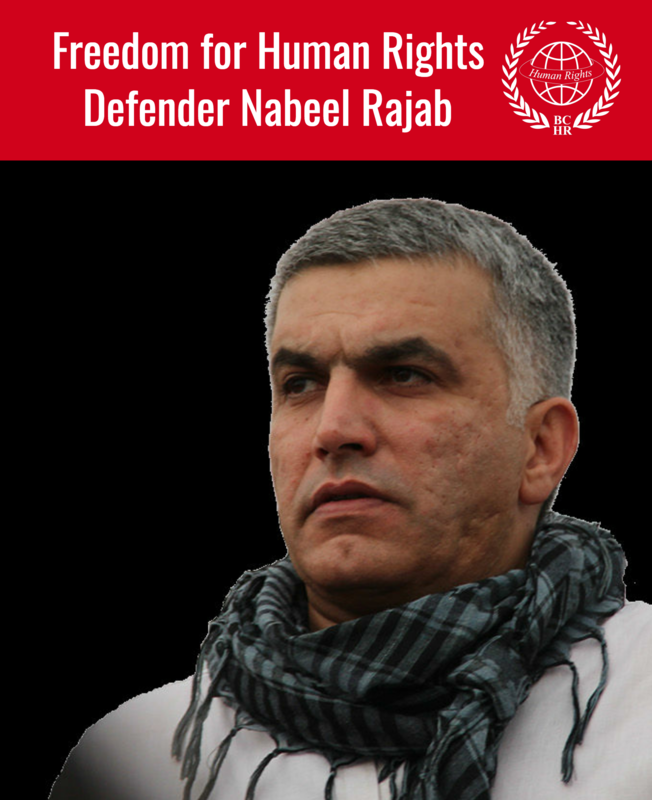 Repeal the laws that criminalize the right to freedom of expression, in line with Bahrain’s obligations under Article 19 of the International Covenant on Civil and Political Rights. Stop surveillance of the internet, and stop chasing and punishing individuals for exercising their legitimate right to express their opinion through electronic pages. Stop censorship and remove the ban on all public forums and cultural, social, human rights, political and religious discussion websites.